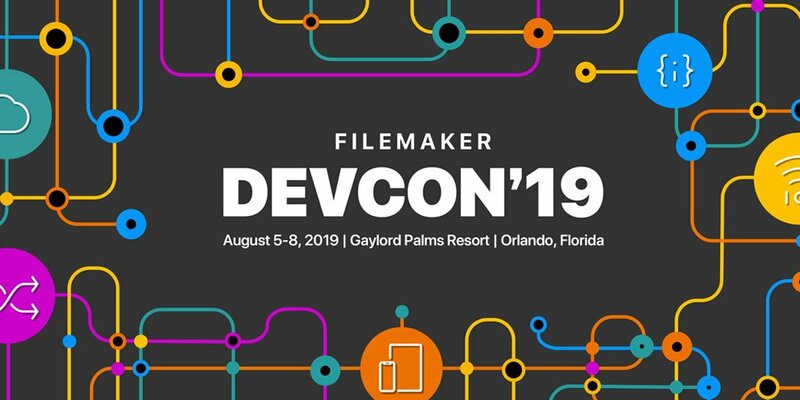 The FileMaker Developer Conference is coming up later this summer August 5-8 at the Gaylord Palms Resort near Orlando, Florida. Our LuminFire team will be going to DevCon to share the latest FileMaker techniques and products. There will be several days with over 1,500 other developers from all around the world. We believe this conference is so vital that we’ve attended it faithfully for the last 17 years. It provides our clients and our team with so much value. Seeing the PRESENT world of FileMaker makes it possible to utilize the best of breed products and technologies to make your business more effective. We recapped last years Devcon 2018 here. FileMaker introduced the new category of Workplace Innovation Platform. LuminFire was the exhibitor with more attendees than any other company at DevCon. We introduced the world to fmFlare and to BrilliantSync. LuminFire also won a FileMaker Excellence award! This year LuminFire will be showcasing our latest innovations and solutions at the conference at our booth and at two DevCon vendor sessions. Stop by for free technical assistance and advice! One of the great things about DevCon is that it’s usually held somewhere extremely hot and sunny in the middle of the summer. That way, all the developers can work on their tans in between sessions. The Gaylord Palms is a beautiful location for DevCon, with an interior atrium that is climate controlled year round. See the Gaylord Palms Resort Map for some initial information on how to get around. With the way the convention center is located, this year should be even more convenient than last year. We’re really looking forward to this exciting event. Here we want to offer some essential tips to help those that are perhaps attending for the first time and some things that may interest those that have attended many DevCons past. 1,500 people, with 30% new attendees. 70 staff members from FileMaker. 500 FBA (FileMaker Business Alliance) members. Get plenty of rest before DevCon so you can be well energized for the time away. The conference hotel is the best option to stay…but you should book your room early. The conference hotel fills up fast at the reduced rate. If you aren’t able to get a room initially keep an eye out for cancellations as we get closer to the event. Even though it may be hot outside, don’t be surprised if it’s cooler inside and in the evening. The large resort hotels keep things air-conditioned quite well (more like refrigeration) so you’ll want to have something to put on like a sweatshirt or light coat. In the evening it cools off as well so you’ll want something warmer. There is no official dress code. Many people wear shorts, jeans, and polos…business casual. Pack light so you can easily bring home your conference backpack or other gear that may be provided free with your registration. Most meals at DevCon are provided in your registration price including full breakfasts and lunches. The Welcome Reception the first night usually has food in an hors d’oeuvres kind of way. The Big Event (Dinner Party) is a highlight with generally exceptional food…happening on Wednesday night this year. For any other time, you can explore a new restaurant nearby. You don’t need a car as you can get transportation to and from the airport easily with a shuttle or taxi. If you have more than one person, Uber, Lyft or taxi is almost always the fastest and most economical way to go. Share a room and make a new friend. Post your request on the FileMaker Community forum or with your local FileMaker User Group. Register for the conference before March 1st to take advantage of the early early bird rate. The cost gets progressively more expensive the longer you wait. Traditionally, the hotel food and necessities are expensive – especially in your room’s mini bar. Can you say $10 for a Twix bar?! Be careful not to even move anything in the mini bar or fridge or you may be charged immediately. If you can stop at a nearby drugstore like Walgreen’s or CVS after arriving, you can get a few snacks and sunscreen at a much more reasonable rate. The full DevCon schedule is posted here. The first day on Monday is optional training. It’s a great way to learn if you prefer in-person training and there isn’t a provider nearby. The 2 day conference on Tuesday and Wednesday is the main conference and culminates with the DevCon party on Wednesday night. 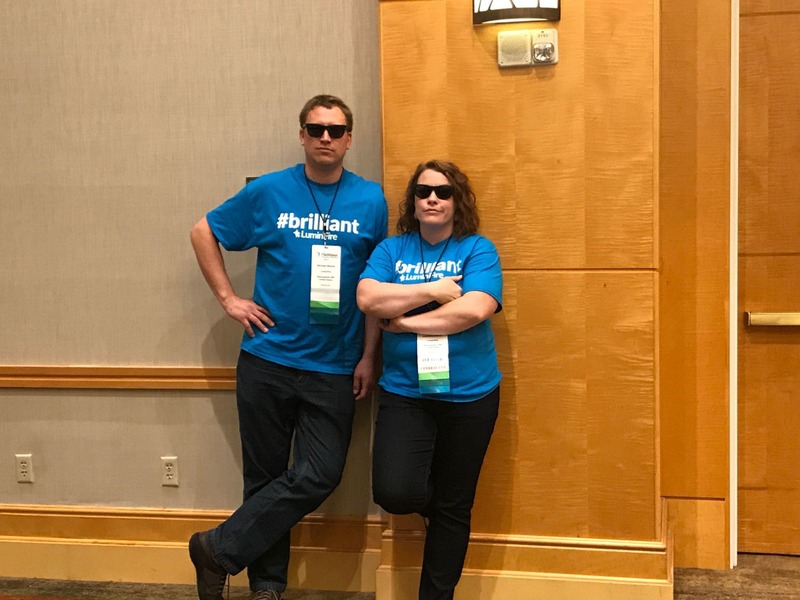 The third day option goes deep with a tech dive of FileMaker and special sessions for FBA (FileMaker Business Alliance) partners and an awards ceremony to cap off the conference. Get to DevCon early so you have margin and can attend the special orientation session for first time attendees. Pick up your conference badge and goodies right away. You definitely don’t want miss the opening keynote session. They generally share some very interesting information regarding the future direction of FileMaker that you may not be able to get anywhere else…and it is all under non-disclosure so people won’t be talking about it afterwards. Most of the sessions are recorded so you have the opportunity to time-shift and see them after DevCon when you can’t be in two places at once. If you find yourself in a session that turns out to be not quite what you needed, don’t be afraid to move to another room and see what is going on there. Look for FileMaker’s DevCon2Go Scheduler application for ready access from your iPhone or iPad (and written in FileMaker Go) on the website soon. Use your personal calendar to block out the most important sessions you want to attend ahead of time. 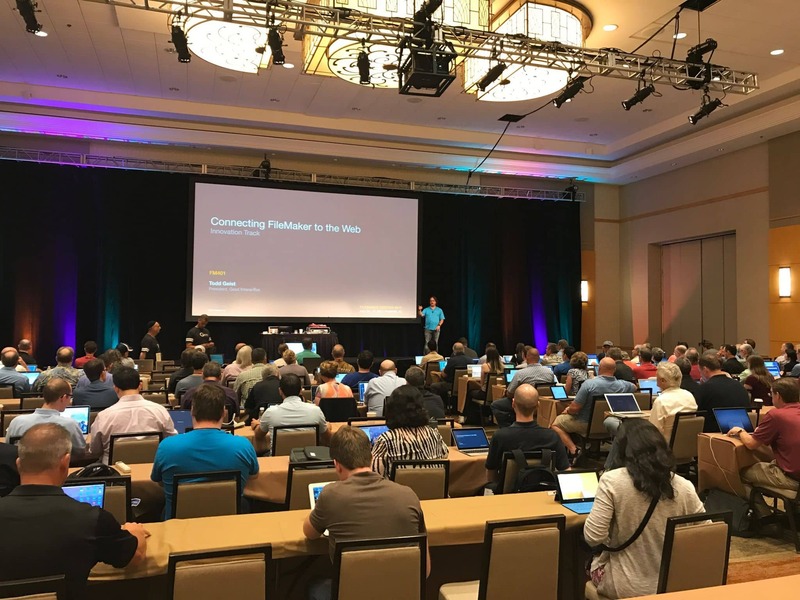 Overall, DevCon isn’t where you’ll learn everything you need to know to create a successful FileMaker solution… you can’t possibly do that in only 2-3 days. But you will learn new techniques, meet many people that can help you, and get inspired about what is possible with FileMaker. Follow that up with some offline work using the resources provided, and you’ll be able to take it all in and become proficient over time. Take time to stroll around and see what all the exhibitors are showing. Ask them how their products can help you save you time and money. Take advantage of the many show specials and discounts while at DevCon. It’s tough to get reliable WiFi for 1,500 techies! Bring along your smartphone hotspot connection as a backup or pay for internet in your hotel room to use between sessions. The days are long and your laptop battery may not last the entire time. Bring a laptop AND an iPad with backup battery for taking notes so you can switch off between them. Use an app that synchronizes your notes in the cloud as a backup. Also remember that nearly all the sessions have their slides available for download (with updates) via the DevCon2Go app. Put your iPhone on low power mode to save on battery. Use FileMaker DevCon’s official Twitter hashtag of #FileMakerDevCon to keep up-to-date on the latest news. DevCon attendees get a free copy of FileMaker Advanced (worth $499), slides of the presentations, and videos of many of the sessions. These are all available electronically through a free FileMaker Community account. 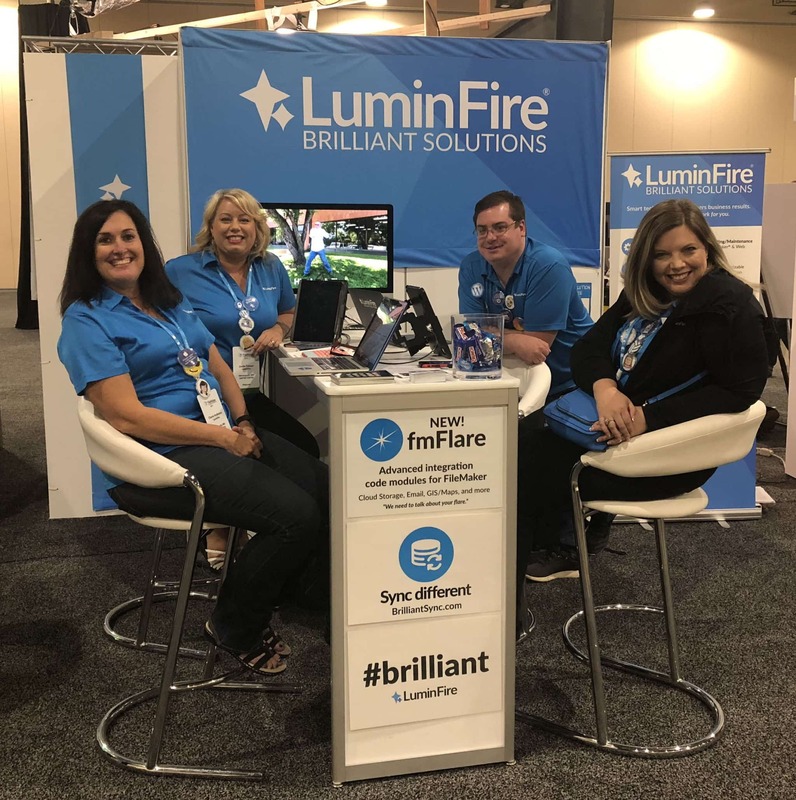 Ask the brilliant software engineers at the LuminFire booth. Make an appointment with one of the FileMaker engineers at Tech Support Central. Check out the free Visionary Bar (DevCon’s version of the Apple Genius bar). Ask someone at your breakfast, lunch, or dinner table. They will often know the answer! There are many advantages to going to DevCon. You can learn, network, and be inspired. In general, no matter how much you know…there’s always more you can learn. It’s easy to get overloaded with the all the information. Swimming has been a popular relaxing activity to take a break. Make some new friends. Say hello to people from all around the world. Bring extra business cards so it’s easy to swap info and keep in touch in the future. Enjoy! 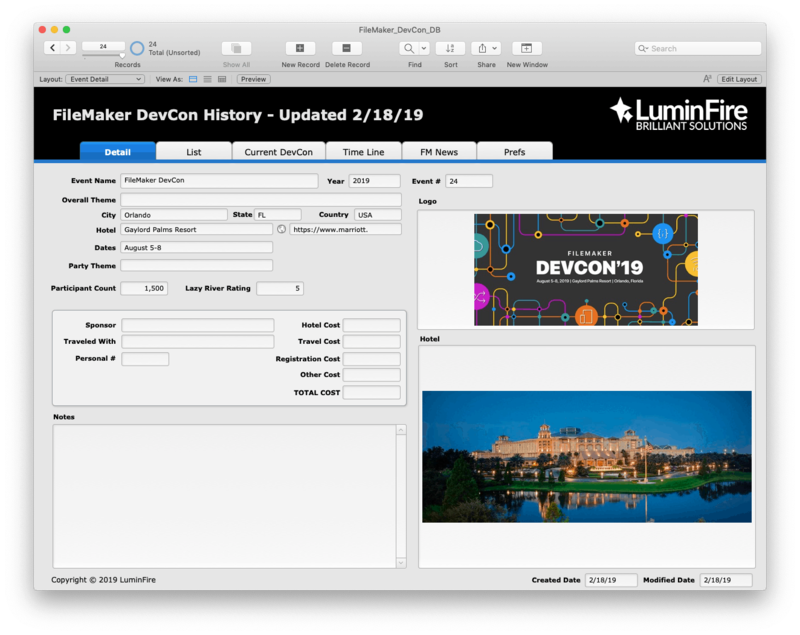 For those that would like to see the history of FileMaker and DevCon as well as keep track of your DevCon history, we’ve created a custom FileMaker app to track all past events going back to the first “FileMaker DevCon” in 1996. It includes a timeline of FileMaker history, tips for DevCon, news about FileMaker, and more. Info like the location, theme, and attendance numbers of previous DevCons as well as some subjective info…such as the “Lazy River Rating” is right there for you. If you have any additional information, corrections, or details to add feel free to send them to us and we’ll update the master.